El punto de “Stop&Go” Yätova es una pieza de mobiliario diseñada para ubicarse en no lugares en los que el usuario necesite abstraerse de la frenética rutina y realizar pequeñas tareas rápidas de manera anónima sin interferir en el flujo natural del lugar. 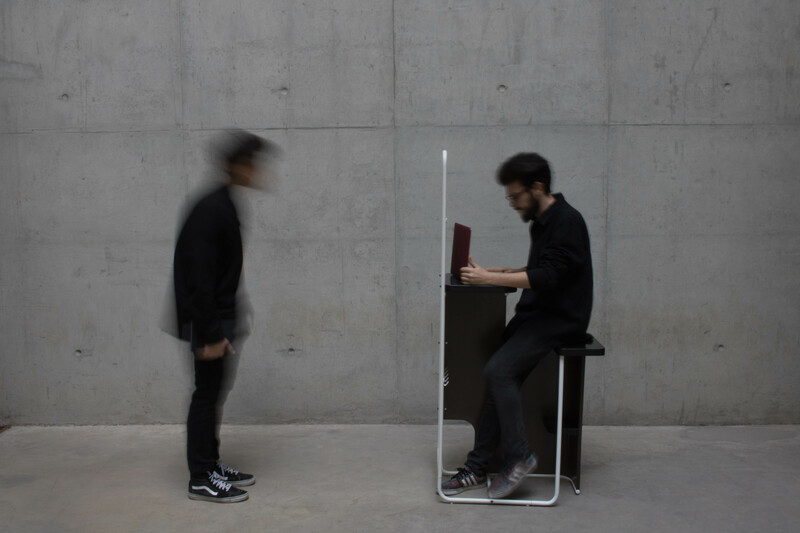 Diseñado para nómadas digitales, generaciones caracterizadas por su adaptabilidad al entorno a la hora de adoptar posturas en distintas tipologías de mueble. Yätova aporta libertad ergonómica; múltiples formas de interacción con el mismo. Combinando la solidez del tablero Fibracolour con la ligereza de la estructura de tubo de acero del mueble Knapper y su espejo frontal, se crea un espacio que se mimetiza con el entorno. Dimensiones: L 400 mm x A 1600 mm x P 650 mm. Materiales: Fibrapan Colour Finsa, estructura y espejo frontal del mueble “Knapper (IKEA). Para conocer a los diseñadores haz clic en “Leer más”. 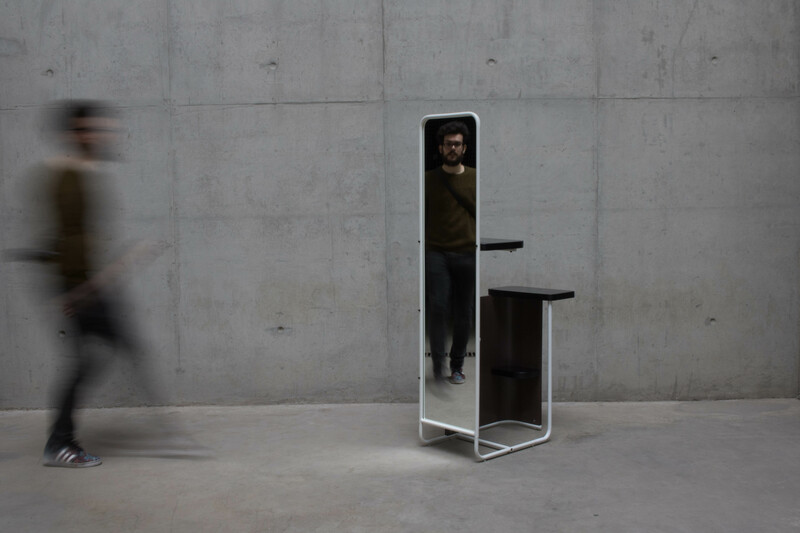 Yátova is a Stop & Go point designed to be located in Non-Places where its users need to estrange from their wild routines to anonymously execute quick tasks without interfering with the flow of the spot. 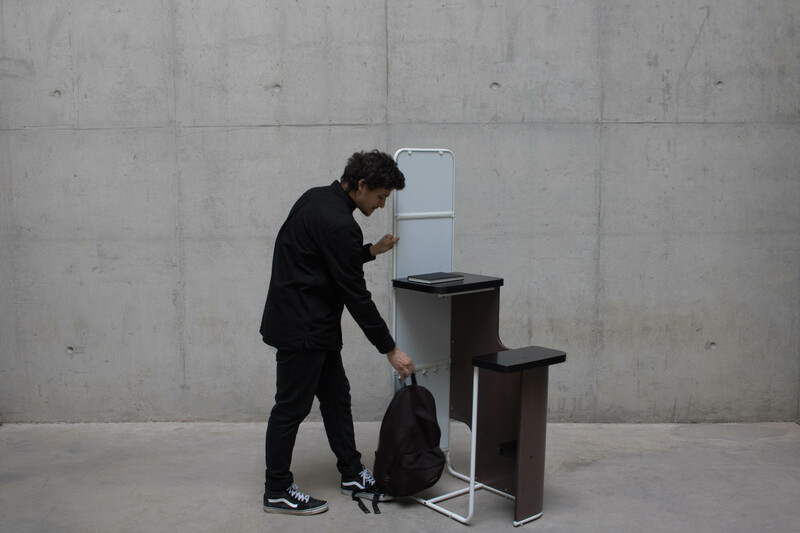 Designed for Digital Nomads, who are characterized by their adaptability to their surroundings as they adopt different postures on the varied existing furniture typologies. 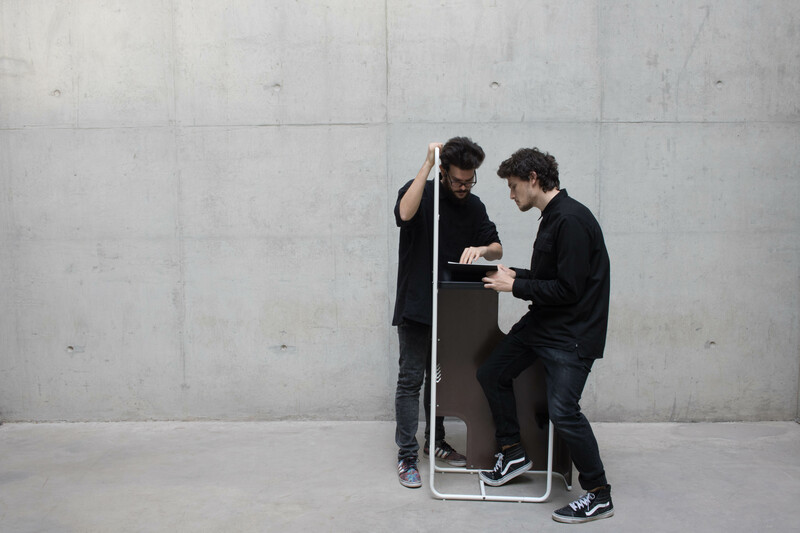 Yätova presents ergonomic related freedom and multiple ways of interaction with it. Combining the solidness of Fibracolour boards with the lightness that the steel tube structure and the mirror that Ikeas Knapper apports, Yätova creates a space that mimics with its surroundings. Dimensions: W 900 mm x H 900 mm x D 820 mm. Materials: Fibrapan Colour Finsa, structure and mirror of “Knapper” furniture(IKEA). To meet the designers click to “Leer más”. Escuela Técnica Superior de Ingeniería del Diseño. ETSID.